Telegram has added the long awaited feature all their users have been asking and waiting for them to add to their iOS and Android App. As one of the top and popular social messaging platform that want to do anything legal to see to the need of the services that users requires, they have finally added the new Encrypted Voice Calling Feature to their users both on iOS and that of Android. Are will going to term it that, Telegram joined suit with other messengers like Whatsapp, Facebook and many other social medias, in adding the feature of voice call to their App or not. But the truth in that matter is that they have already joined whether they followed suit or not. Adding this Voice call feature to iOS and Android App was done with nice expertise, as Telegram made the voice call in such a way that, it’s end to end encrypted, which actually implies that; third party won’t be able to intercept on any call you are making through the platform, so the call is secured between the recipient which may be your friend, and you calling. 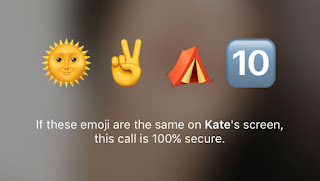 They have also replaced the traditional encryption key with 4 sets of emojis in the app. And these four sets of Emojis functions as a form of encryption key in order to ensure a better and secured room for your exploration. So in other words, you need to compare the 4 emojis on your own calling screen with that of the 4 emojis on your recipient’s caller screen. Telegram like I said earlier does their things with expertise, as they introduced this voice calling feature, they also provided an option for disabling the voice call by any user who chooses not to use it or can choose to Turn it off when not in need. This is unlike other social media Platforms they only embed the feature without adding an option to disable it by users. Whatsapp voice call doesn’t offer such option to users. To turn off the Telegram voice call in the app both iOS and Android users, simply go to the privacy settings for voice calls, and control the settings the way it pleases you, from there set whether to turn it off or disable the feature completely. Also there, you will see settings for allowing voice call from everybody,( nobody at all, meaning everyone will be blocked from calling your contact in telegram), also you can as well set it for only your contacts to call you. All these settings are there in the app, so set wisely. Note: the feature is currently available for those only in Europe for now, and will soon get to other regions. Just stay tuned, as I will inform you guys when the feature is available for all users in other regions.